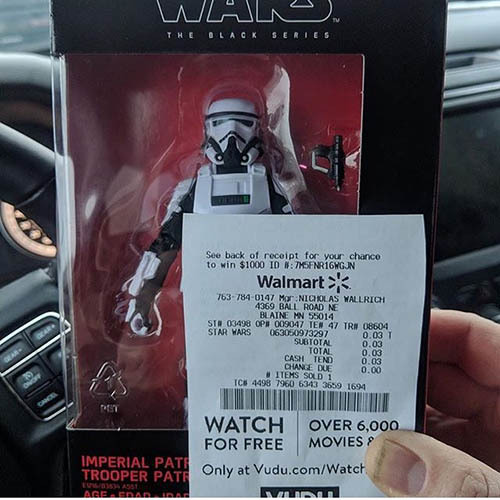 First up, a bizarre glitch or divine holiday intervention has caused The Black Series 6-Inch Wave 19 to ring up for pennies at a few Walmart stores. 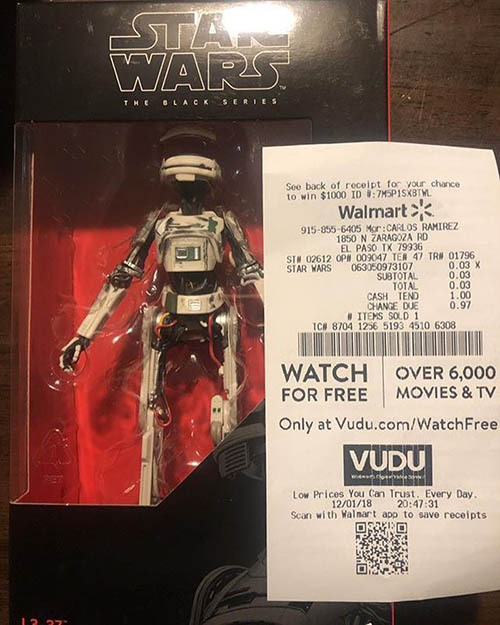 Fellow collector darkside_collector reports that he found Val and L3-37 for $0.03 at a Walmart store in El Paso, Texas. Matt Found the Patrol trooper for $0.03 in Minnesota. 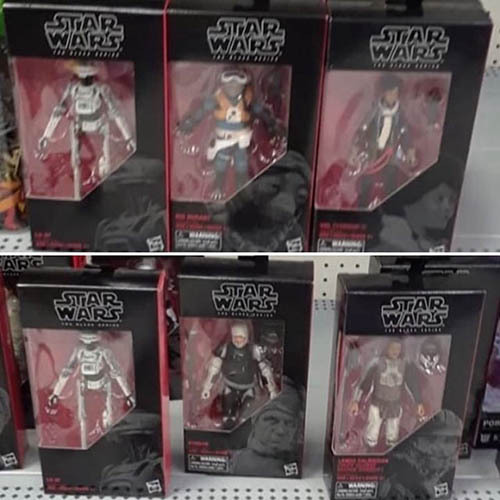 Fellow Collector camaroguy85 reports that Wave 19 has also been spotted at Walmart in Miami, FL, but at full price. 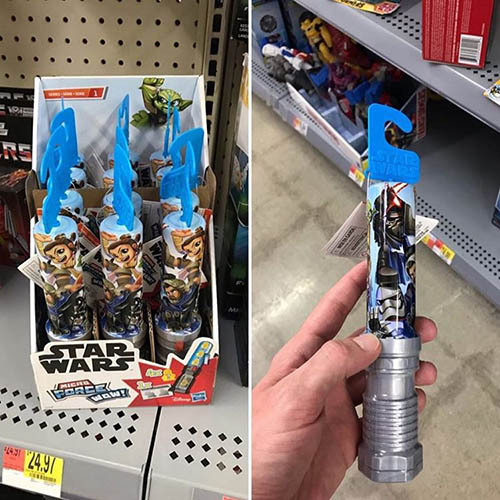 Fellow collector theonlywashup has posted that the Micro Force Wow Series 1 is now hitting Walmart in New Jersey. We recently posted a press release about these here. Mijail on Twitter reports that The Vintage Collection Rey (Island Journey) is being found at Walmart in Mexico, as well as being listed on the Walmart Mexico website. This has switched to a 2019 online retailer exclusive in the US. 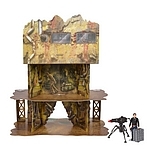 Speaking of Walmart.com, fellow collector Christopher wrote in to alert us that the 3.75-Inch Kessel Mine Escape Playset is now available on Walmart.com! And finally, fellow collector Shaun reports that Zavvi.com has the 3.75-Inch Kessel Run Millennium Falcon reduced to £ 49.99 plus an extra 15 % discount. He says "Got mine for £ 35.99 plus £ 1 post and packing. Good hunting."